Meet the world class instructors who teach for OLLI at the University of Vermont. Gary, an author, three time former city counselor, has held political appointments in the state and high level administrative positions in the federal government but always remained a resident of Burlington. Janet Franz is an experienced group exercise professional and fitness trainer. She is certified by the American Council on Exercise and the Athletics and Fitness Association of America. She chairs the Vermont Governor’s Council on Physical Fitness and Sports and writes about wellness and health sciences for the UVM College of Nursing and Health Science. Jacob has a Masters of Forest Management from the Yale School of Forestry and a Masters of Education from the Harvard Graduate School of Education. He taught tree identification as part of the orientation program for Yale Forestry Students. 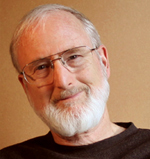 He was the founding faculty for the Sustainable Agriculture program at Kennebec Community College in Fairfield Maine. I am the youngest board member of Branch Out Burlington. Clare is a Vermont-based ukulele teacher, performer, and focused dabbler on the dobro, bass, harmonica, spoons, and washboard necktie. Driven by a hurricane-force love of making music with friends, imperfect strangers, students, and unsung musical heroes, she thrives on taking part in creating the best learning and listening experience possible for students, fellow musicians, and audiences — recognizing the volumes that she has learned from her students and the entertainment that flows back to her from those attending a class or a performance. Clare has taught several hundred ukulele students in group and private lessons and stage pop-up Ukulele Shenanigans, where dozens of ukulelians show up and rattle the rafters in song. She has been called a “Ukulele Whisperer” for my knack for untangling the knottiest chords, strums, and concepts and helping people venture into the flow of playing. 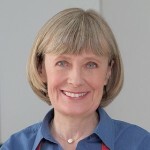 Patsy Jamieson is a food writer known for creating healthy recipes that do not compromise flavor. She is Recipe Editor for Tufts University Health & Nutrition Letter and Food Stylist for EatingWell. Patsy is also a flavor and nutrition analysis consultant for YOLO Snacks, a specialty popcorn company. She is the author of Celebrating Herbs and Cooking for Health & Flavor. Patsy developed recipes for two Reader’s Digest books, Magic Foods for Better Blood Sugar and Disease Free. As the former Food Editor and Test Kitchen Director for EatingWell, she edited numerous EatingWell cookbooks, among them The Essential EatingWell Cookbook, which was a finalist for a James Beard Award. Her articles and recipes have appeared in Cooking Light, Cooking Club, EatingWell, and Vegetarian Times. Patsy has conducted cooking classes and demonstrations across the country and has appeared on numerous television shows, including ABC’s Good Morning America, NBC’s Today Show, the Food Network’s Sara’s Secrets, PBS’s The Victory Garden and CNN’s On the Menu. She earned her Grand Diploma and Professional Certificate at La Varenne Ecole de Cuisine in Paris. Maeve has taught birding classes for OLLI, CVU Access, MMU After Dark, and several libraries and other organizations for several years now and has led almost a hundred bird walks. She’s a published author, with articles in BirdWatching magazine as well as two novels. In her recently-published second novel, every character is either a birder or a bird! Amanda McIntire first began practicing yoga almost 20 years ago. It wasn’t until recovering from an injury, however, that she truly experienced the transformative power of yoga. She is RYT-200 certified with the Yoga Alliance and specializes in teaching beginners. Amanda believes that everyone can benefit from yoga practice – regardless of experience or physical ability. Her supportive, down-to-earth approach allows students to grow comfortable and confident as they work toward creating their own practice. Jane Neroni teaches “Drawing and Painting Botanicals” for the Plant and Soils Department at the University of Vermont. She moved to Vermont seven years ago from Providence, RI where she worked for the Rhode Island School of Design. There she designed courses for their Continuing Education Department and taught classes in Drawing and Botanical Illustration. While she was at RISD Jane was the recipient of RISDs “Excellence in Teaching” award. 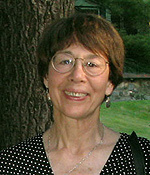 Since moving here Jane has focused on painting and drawing the Vermont landscape both “en plein air” and in her studio. 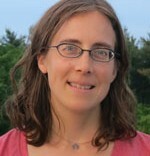 Sarah Salatino is the owner and head grower at Full Circle Gardens in Essex, VT. This plant nursery grows on site over 700 varieties of Vermont hardy perennials through sustainable practices. As well, customer education is a high priority at FCG. A member of the Vermont Nursery and Landscape Association, she was awarded the VNLA’s Environmental Awareness Award for 2013. Her horticulture experience began at a tender age pulling apart her grandmother’s bleeding heart flowers to see what was inside. The rest is history. Sarah participates in the Vermont Flower Show, assisting the central display committee. She has given numerous talks and workshops on all things horticultural to the UVM Master Gardeners, the Friends of the Horticulture Farm, the Vermont Flower Show, YMCA afterschool programs at the Essex Town School District, and many private gardening groups. Carolyn was drawn to Zentangle for the simplicity of it – pen and paper. She has been teaching Zentangle classes for two years and she loves to introduce people to Zentangle and watch as they are able to relax, focus and create beautiful art in the process. By day, Carolyn is an Instructional Designer for Continuing and Distance Education at UVM. Carolyn also lives and breathes online education. She has been conducting faculty development and training for online faculty since 1999 and has been teaching online for 16 years. The online course she teaches has recently received the 2014 Blackboard Exemplary Course Award. Carolyn holds an M.Ed and Ed.D. 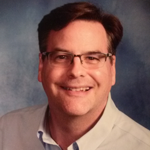 in Education and is an Instructional Designer for Continuing and Distance Education at UVM. Rebecca Starks holds a Ph.D. in English from Stanford University, where she taught courses on the Renaissance, on poetry and poetics, and on writing and rhetoric; and a B.A. from Yale University. Editor-in-chief of Mud Season Review, a literary journal run by members of the Burlington Writers’ Workshop, she writes poetry and fiction. Her poems have most recently appeared or are forthcoming in Mezzo Cammin, Slice Magazine, Crab Orchard Review, and The Carolina Quarterly. Her fiction is forthcoming in Crab Orchard Review. She is excited to bring the feel of a writing workshop into the classroom–making it a “reading workshop”–and to share her love of literature. Brian Sullivan is a Board Certified Master Arborist with a Bachelor’s degree in Forest Resource Management with an emphasis in Natural Resource Ecology. 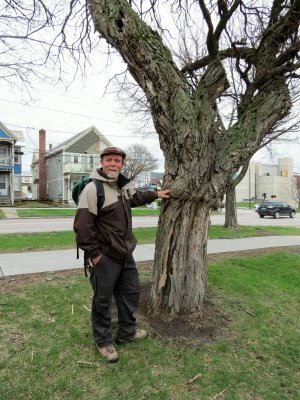 He has over 25 years of experience in Arboriculture. This includes nearly 10 years in the municipal environment as a production arborist and Arboriculture Foreman for the City of Burlington, and over 20 years as a small business owner offering tree planting, pruning and removal for businesses and homeowners in Vermont, Southern New England and Montana. Jeffrey A. Trumbower, Ph.D. (University of Chicago), Professor of Religious Studies at Saint Michael’s College since 1989, also former Academic Dean at Saint Michael’s 2005-2014.